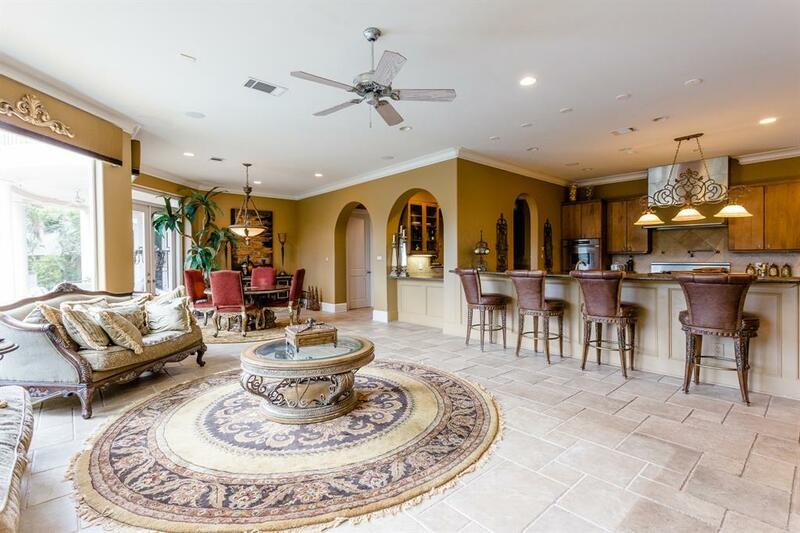 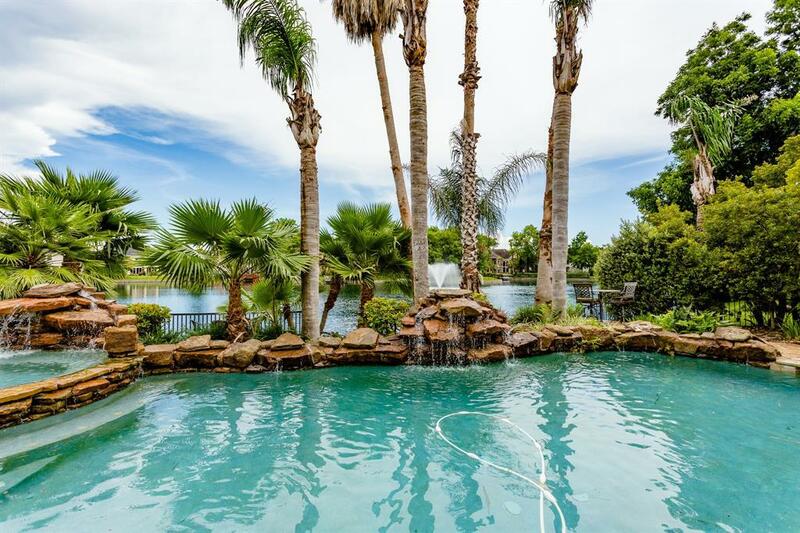 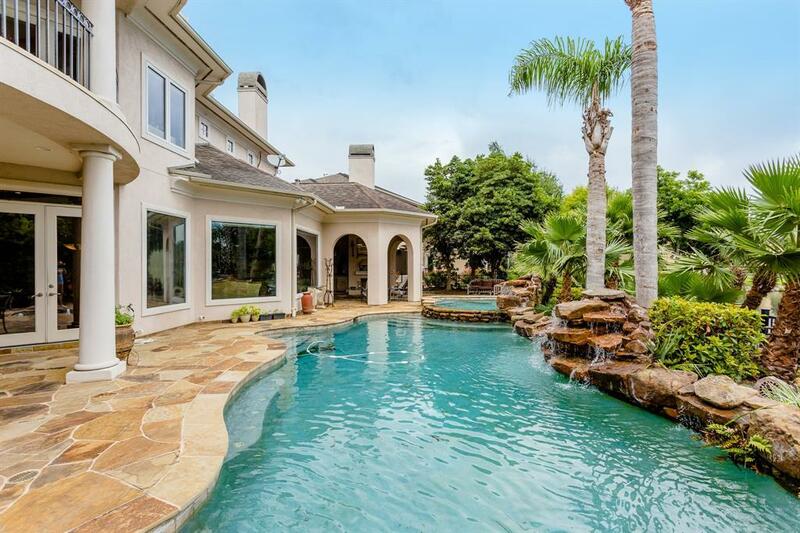 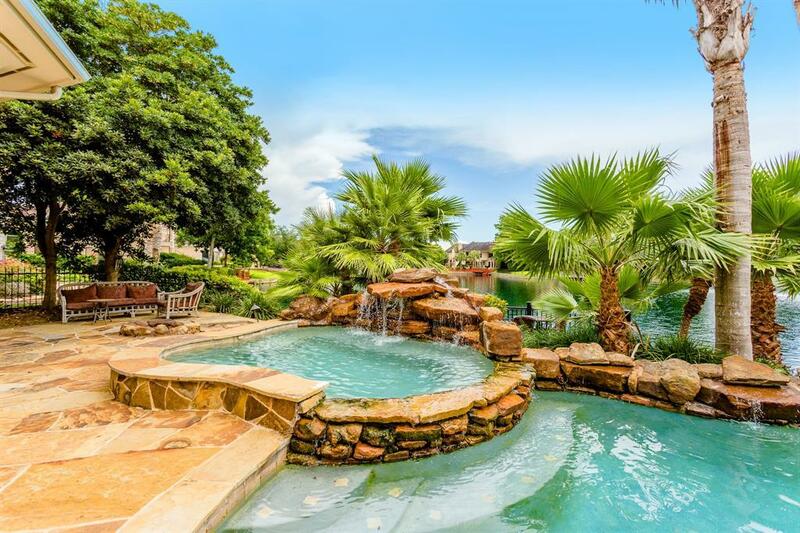 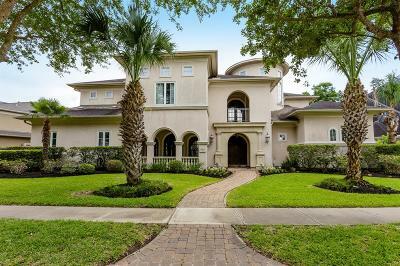 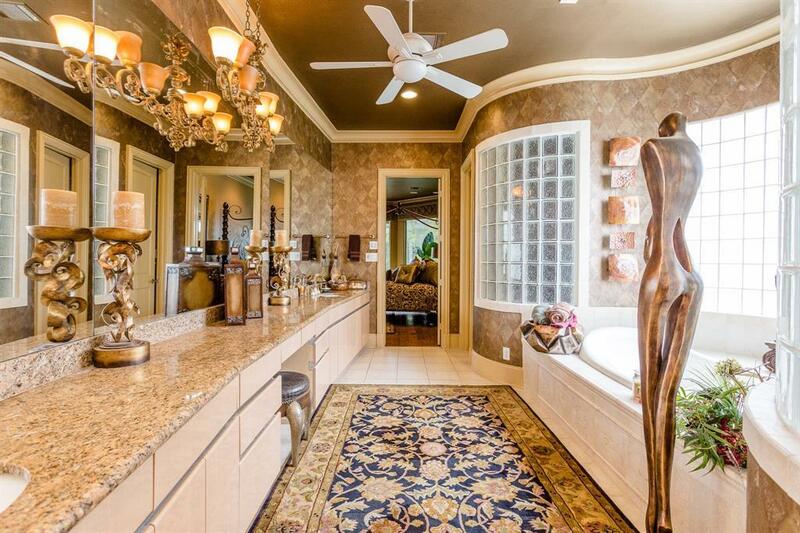 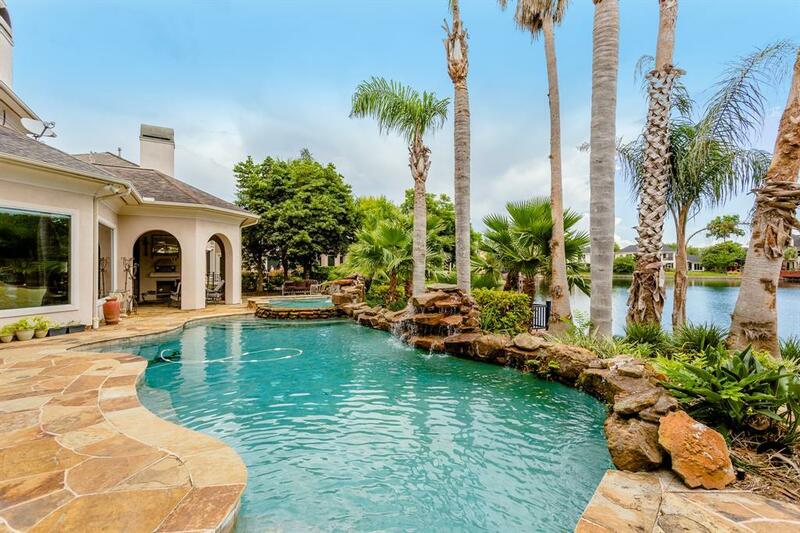 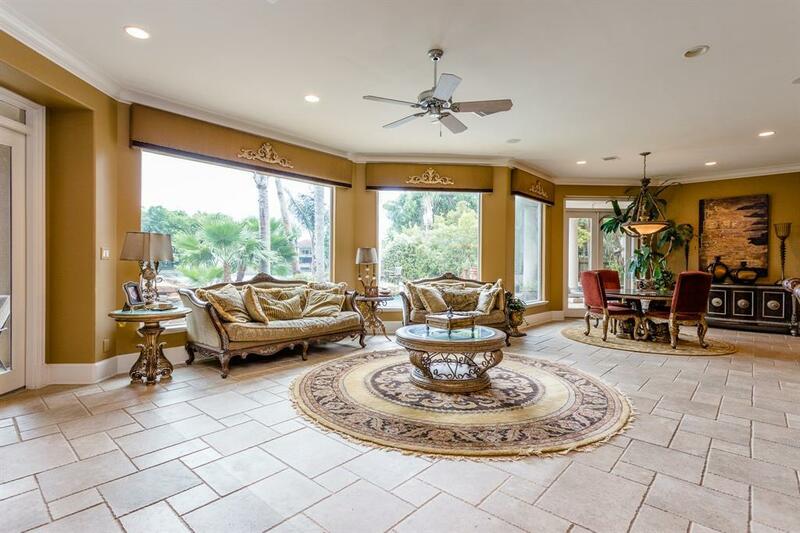 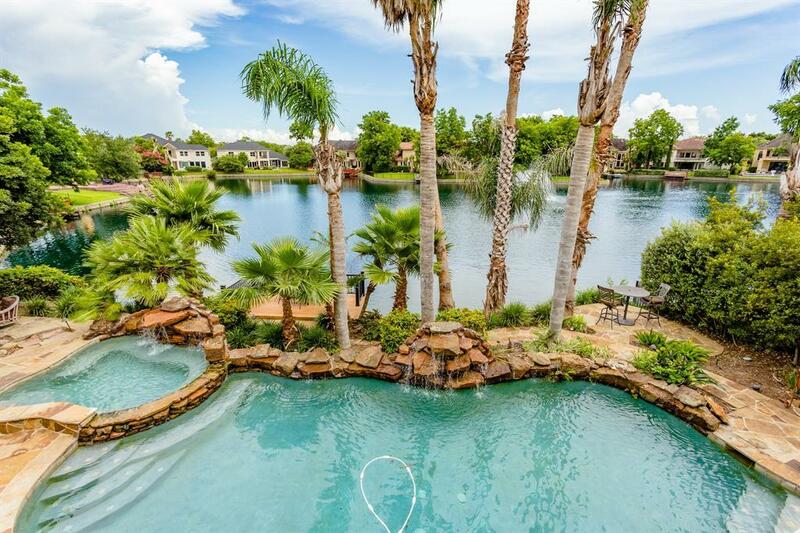 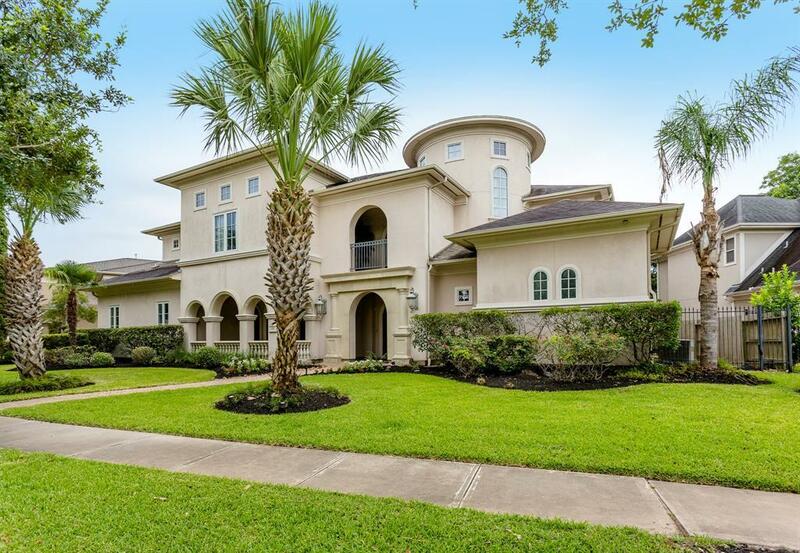 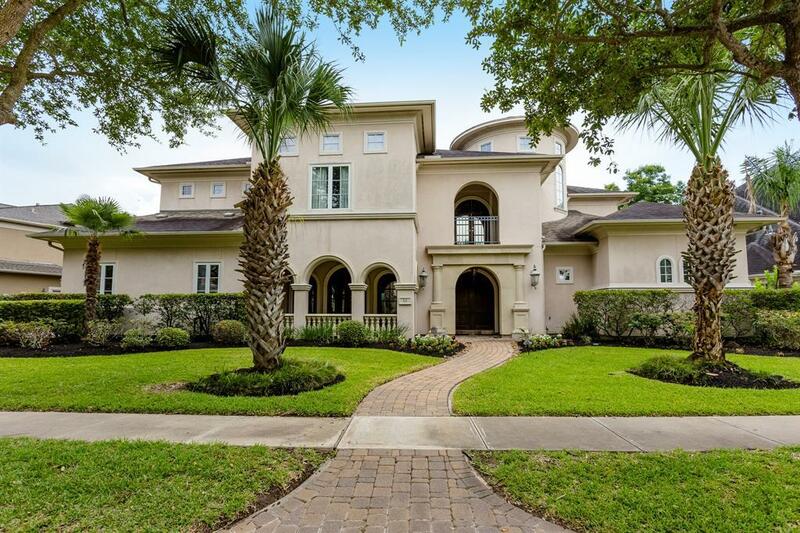 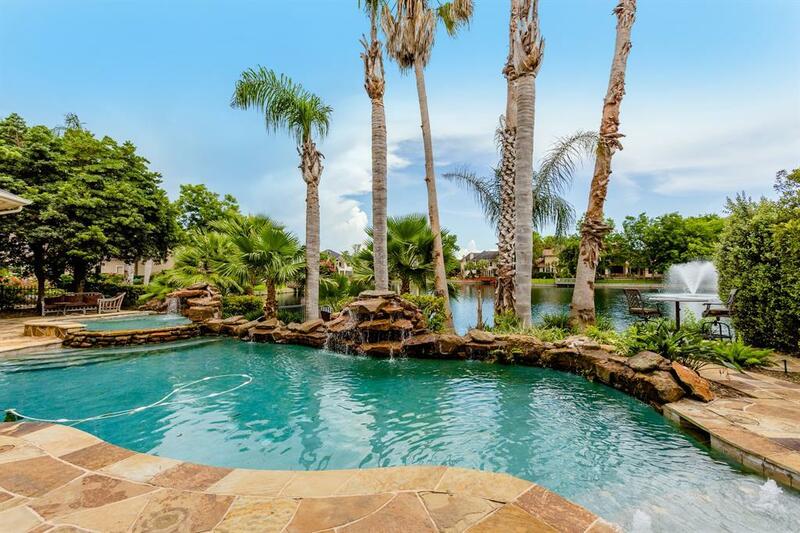 A TROPICAL WATERFRONT PARADISE AWAITS IN THIS GORGEOUS STUCCO ESTATE! 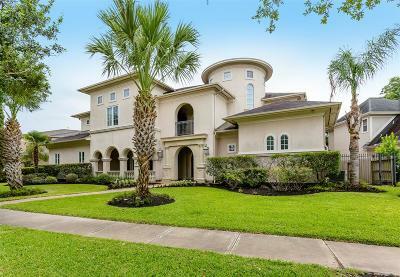 GORGEOUS FRONT ELEVATION WITH BEAUTIFUL TURRETS AND ARCHWAYS. 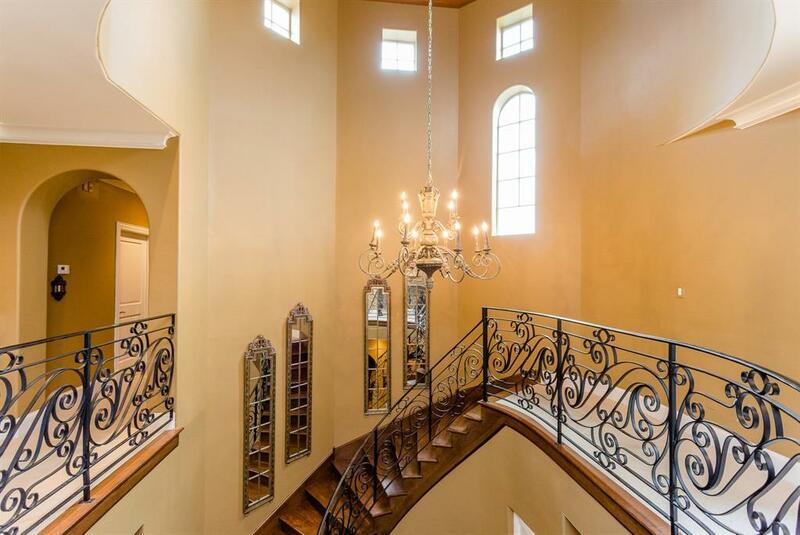 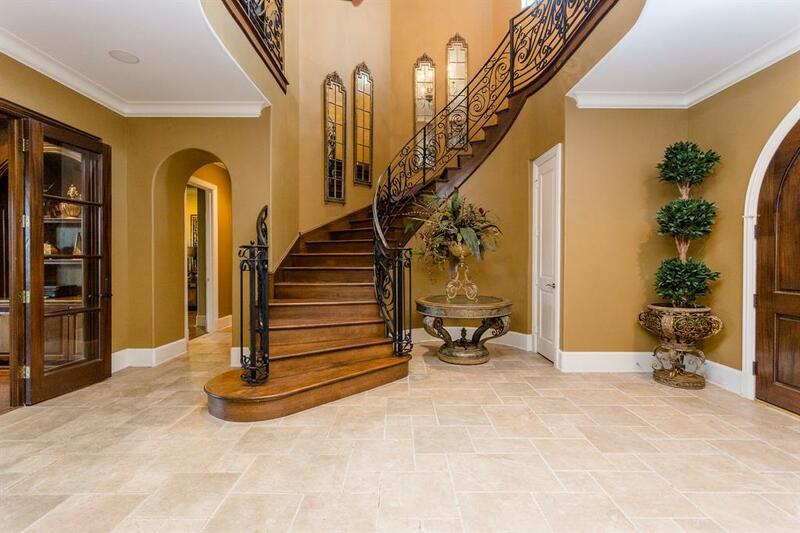 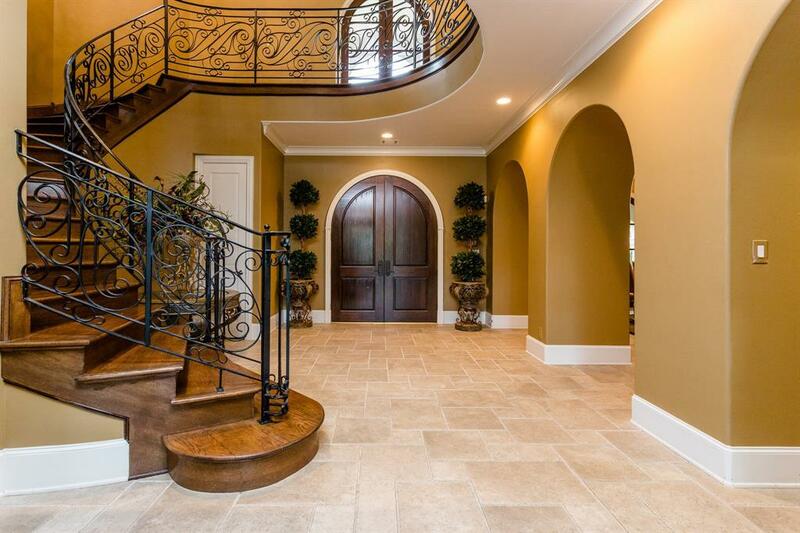 DRAMATIC FOYER WITH CURVED STAIRWAY, SOARING CEILINGS, AND STONE FLOORS. 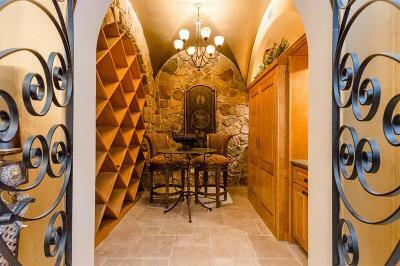 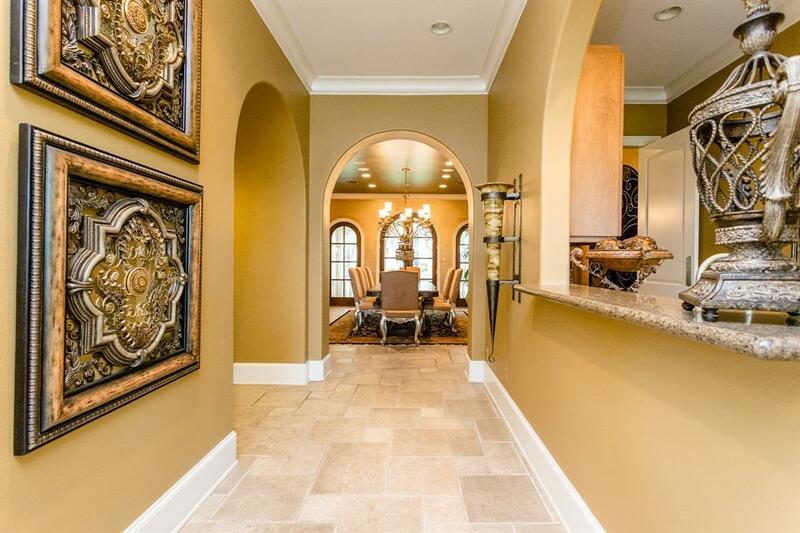 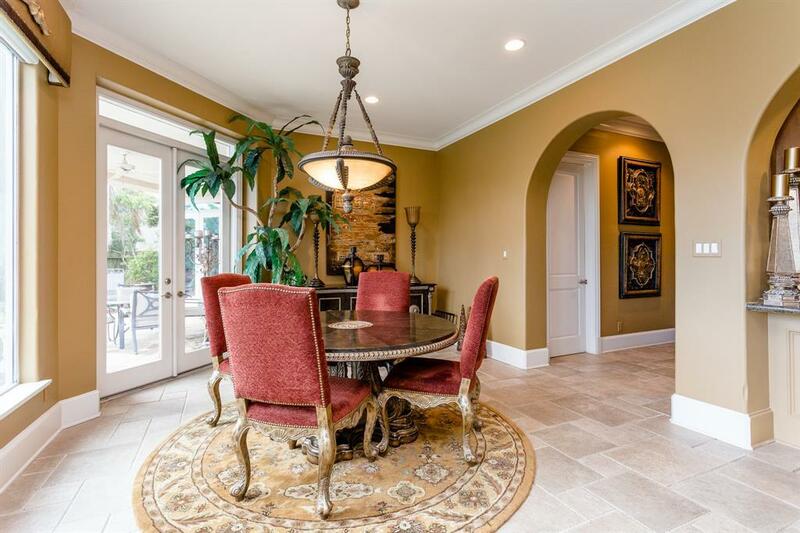 HUGE FORMAL DINING ROOM WITH DOUBLE IRON DOORS THAT LEAD TO A WINE ROOM WITH STONE WALLS. 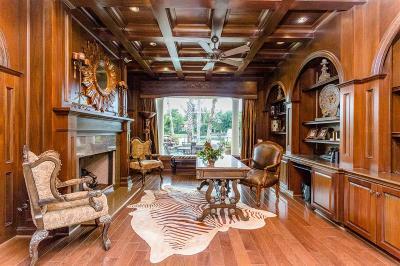 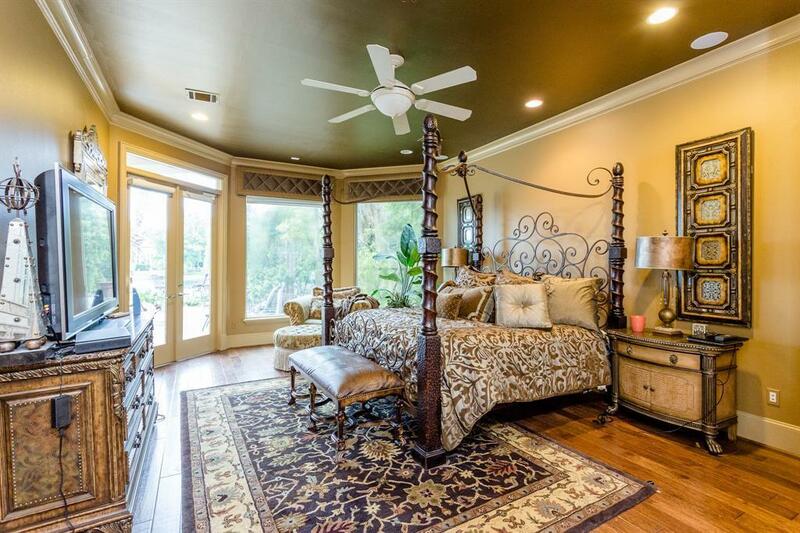 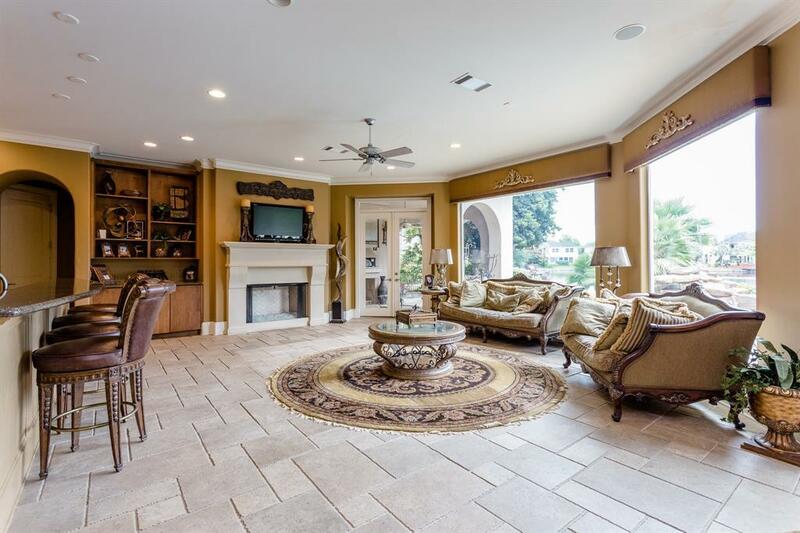 ELEGANT STUDY WITH CUSTOM WOODWORK AND BREATH TAKING VIEWS OF THE POOL AND LAKE. 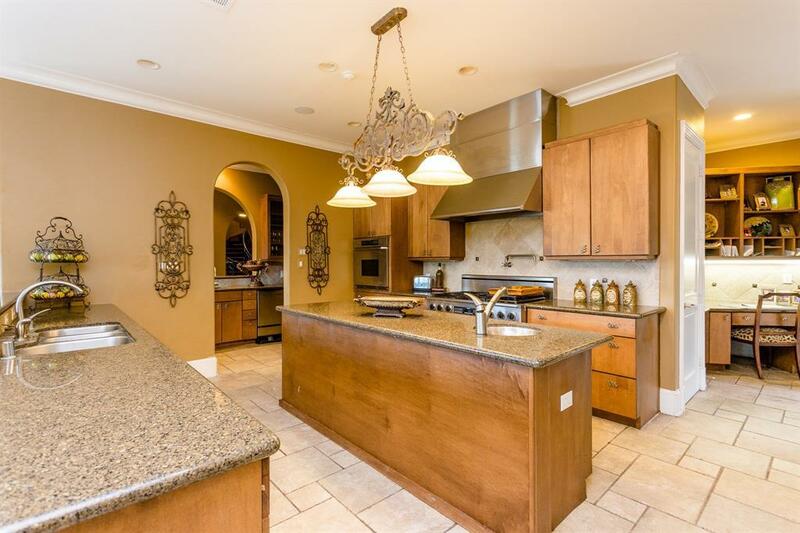 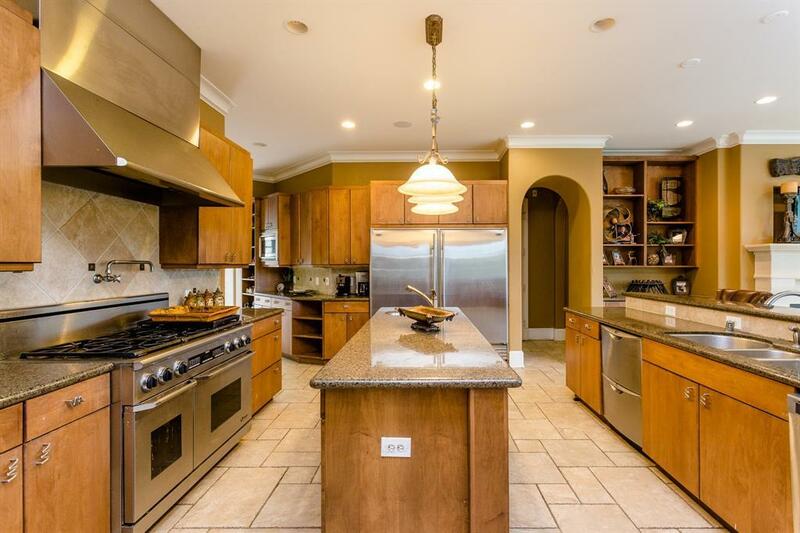 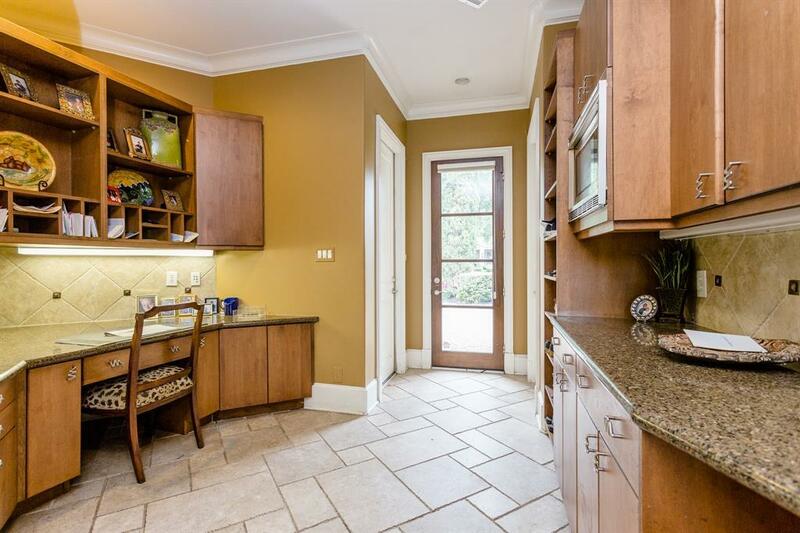 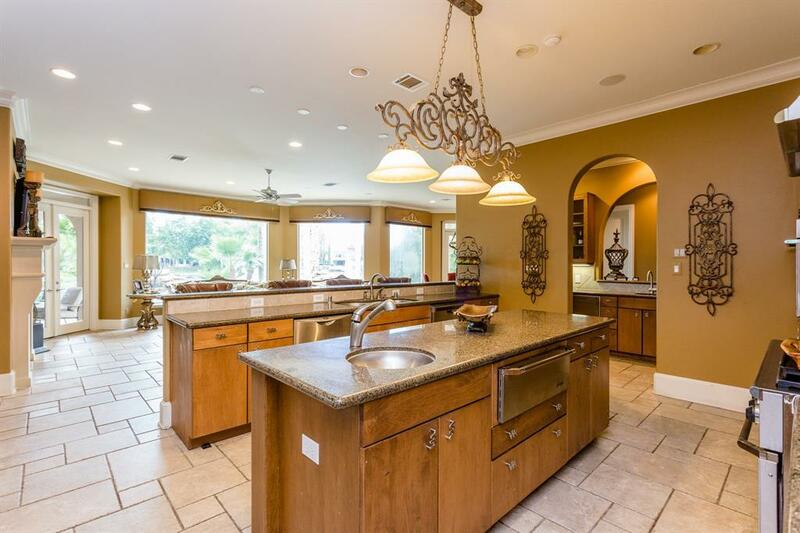 LARGE MODERN KITCHEN WITH GREAT APPLIANCES OPENS UP TO THE FAMILY ROOM AND BREAKFAST AREA. 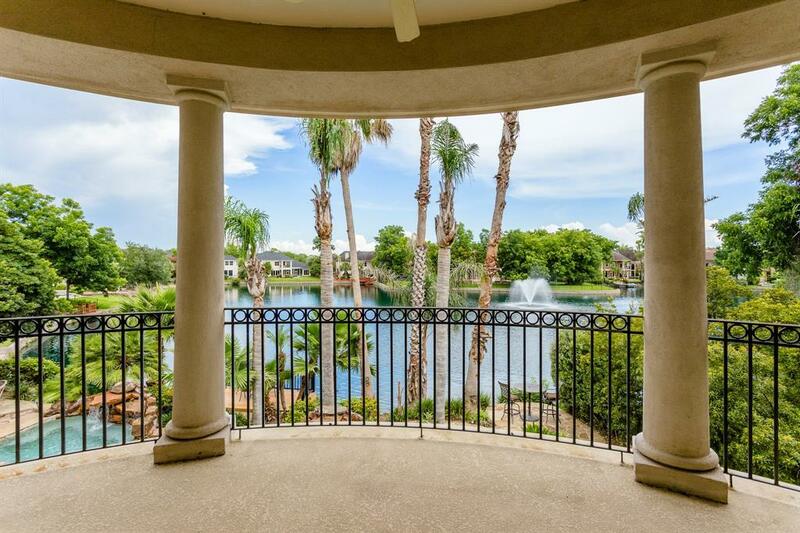 LARGE WINDOWS BRINGS SPECTACULAR WATER VIEWS TO EVERY ROOM IN THE HOUSE. 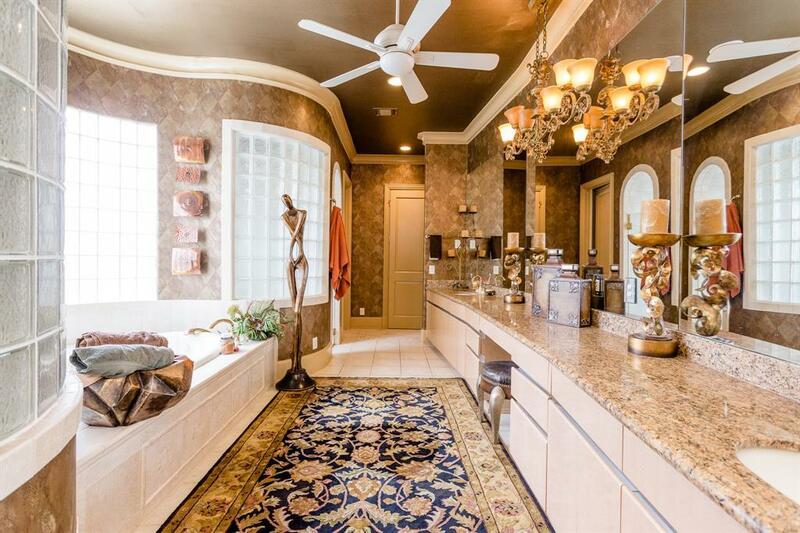 LUXURIOUS MASTER SUITE WITH SPA-LIKE MASTER BATH, TONS OF CLOSETS SPACE AND BONUS ROOM THAT COULD BE MORE CLOSET SPACE OR AN EXERCISE ROOM. 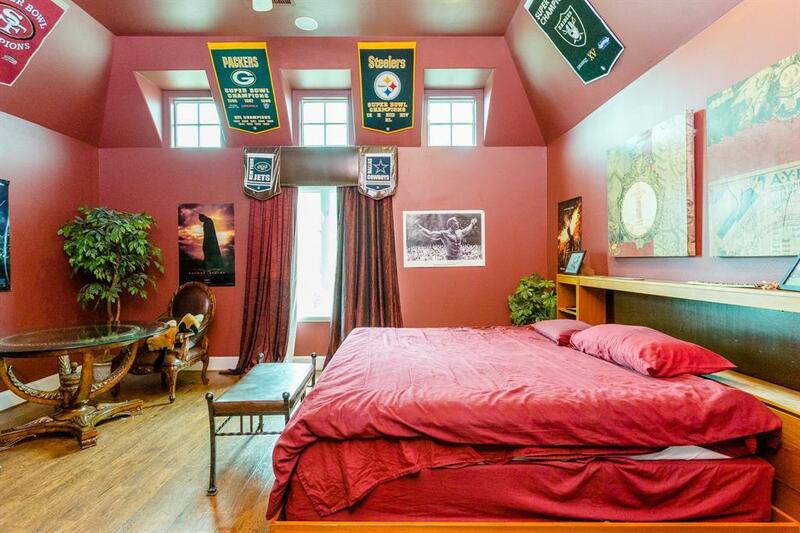 ALL SECONDARY BEDROOMS ARE LARGE. 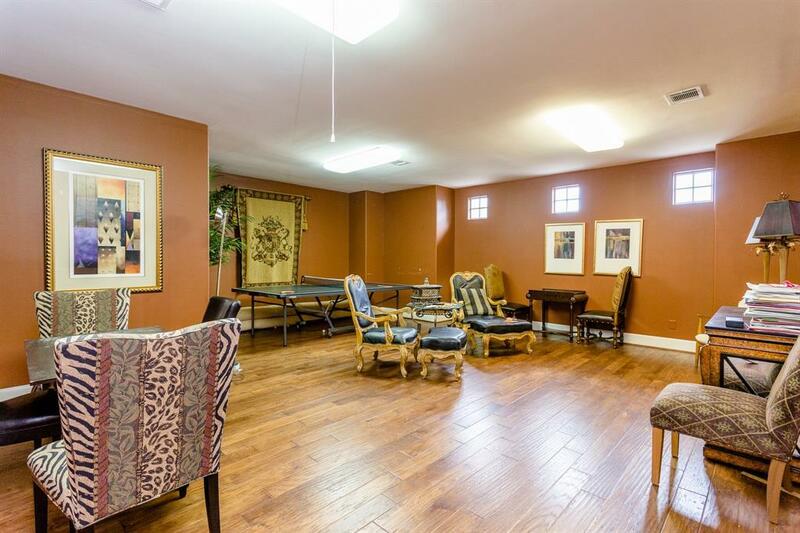 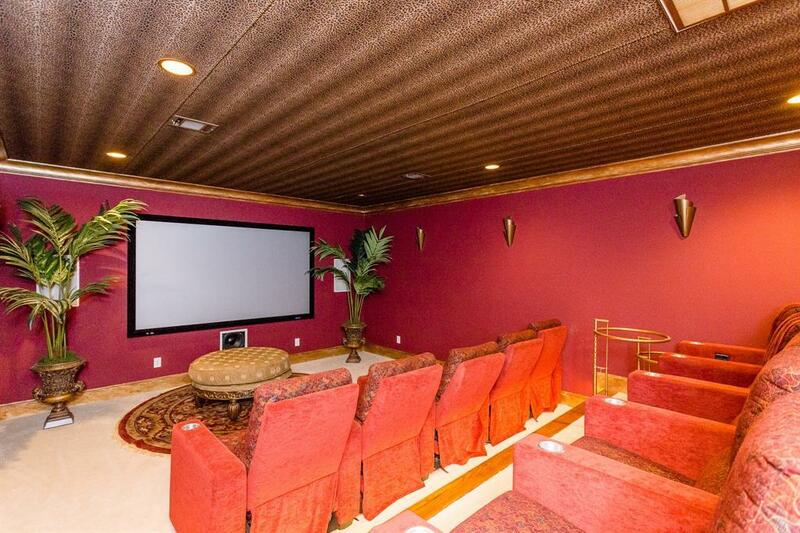 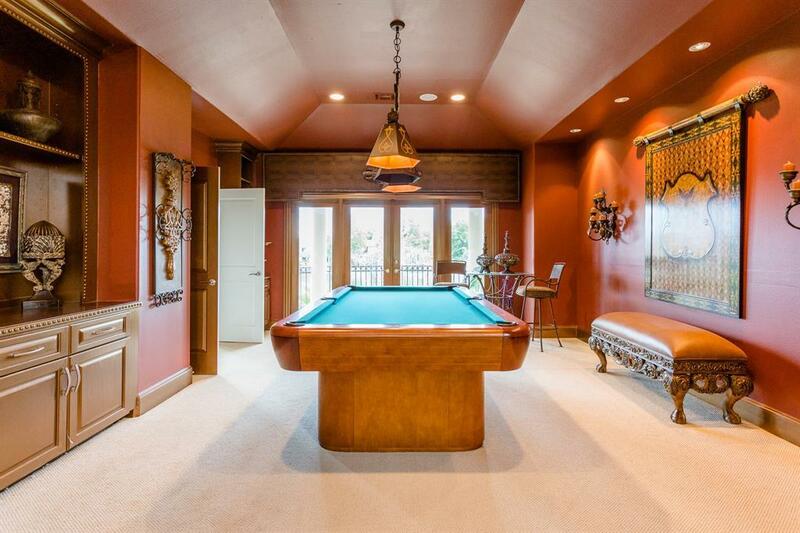 GAME ROOM WITH BALCONY OVERLOOKING THE LAKE, LARGE MEDIA ROOM AND BONUS ROOM COULD BE CONVERTED TO AN EXTRA BEDROOM. TROPICAL PARADISE IN THE BACKYARD WITH LAGOON STYLE POOL OVERLOOKING THE LAKE, COVERED PATIO AREA, AND MULTIPLE SITTING AREAS. 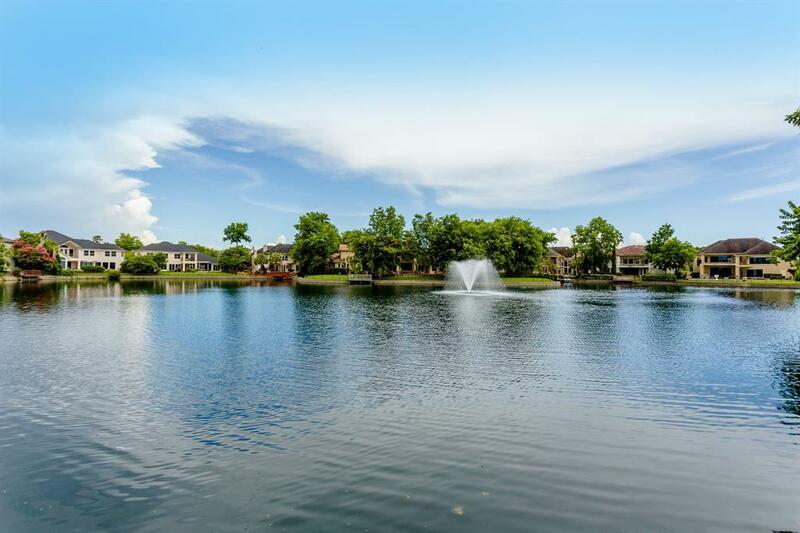 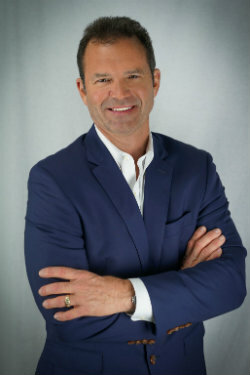 EXEMPLARY SCHOOLS AND SO MUCH MORE! 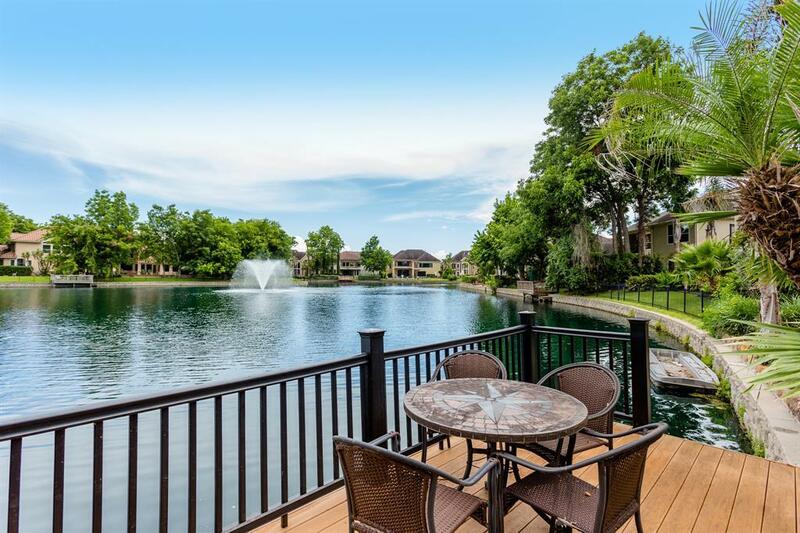 Directions: 59s, Exit University And Take Left, Left On Commonwealth Blvd, Left On Berenger Place. Home Is On The Right.